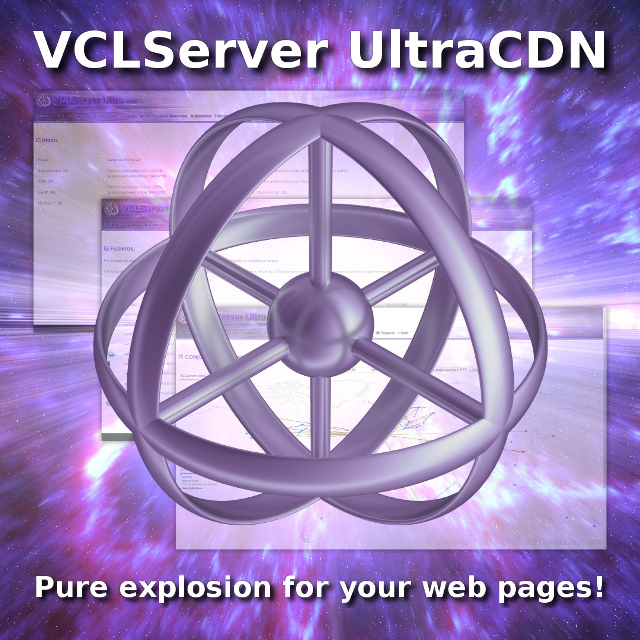 With VCLServer you have the power to display web pages to mass users without the costs of using a cloud or a cluster, taking advantage of your own local server and your usual Internet connection. VCLServer optimizes the use of your Internet connection to professional levels and increases the performance of your server avoiding repeated disk accesses. VCLServer enhancements will make your pages faster for users and search engines, increasing the visibility of your page on them by getting improvements in SEO positioning. During the tour of this manual will check the power and simplicity of use of this new software and will learn quickly and easily everything necessary to take full advantage of the VCLServer system. Currently this manual is being readapted to change from VCLServer Ultra to VCLServer UltraCDN and the English translation is being done; you can read it in spanish by click on language buton. Sorry for the inconvenience. User and password of VCLServer. Modifing and deleting files with vclserver_delete(). Map viewing in real time. Checking the location of the hostings. Turning VCLServer on and off. Usage of VCLServer in a cluster. When to upgrade to VCLServer UltraCDN?. How to further increase performance. ⚠ If you use VCLServer Express some of the features shown in this manual will not be available on your system and performance may be lower.